I remember that very early on when Shaquille O’Neal was considered a can’t miss NBA prospect playing for Louisiana State University, before he became the No. 1 draft pick of the Orlando Magic in 1992, some magazine I frequently picked up off newsstands (probably Sports Illustrated) did a profile piece on him. In the interview he mentioned his love of rap music, specifically shouted out Public Enemy as important to him, and to a young impressionable teenage “Flash” this was all I needed to know about the seven footer. I determined right then and there that if he made it to the NBA he’d immediately be one of my favorites. Now of course his OWN forays into hip-hop music made unwavering support more difficult. To this day I don’t doubt his efforts were heartfelt, and some songs like “Biological Didn’t Bother” and “You Can’t Stop the Reign” have held up well, but he was always a more commanding presence on the court than on the microphone. I’m glad he wound up with four championship rings – those accolades suit him better. The irony of that intro is that other than Jakk Wonders putting him on the cover of “Rookie Season II” and sampling the 1992 NBA Draft in his OWN intro, Mr. O’Neal has almost nothing to do with this album. 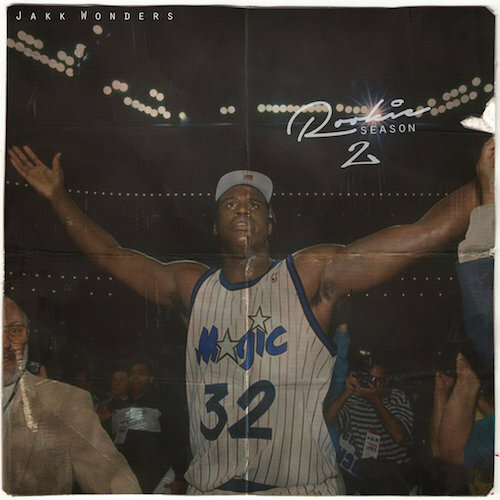 In fact you won’t hear a Shaq Attack anywhere on any track of this album, nor any rap bars of any kind, because “Rookie Season II” is an entirely instrumental affair. Still given Jakk hails from Johannesburg, South Africa it reminds me that America exported more than just hip-hop music and culture when I was growing up. I had a bit of tunnel vision back then. Everything had to be about hip-hop, and just like my respect for Shaq doubled when he said he was a P.E. fan, anybody who represented that to me in any endeavor engendered the same interest. I looked at actors, athletes, talk show hosts and pop culture personalities through a very focused lens. If they said something positive about rap they got props, and if they said something negative I whipped out my pen and clipboard like Chris Jericho and they went on THE LIST. For me Jakk’s album was a chance to take a stroll down memory lane, look at that younger kid I used to be, shake my head and chuckle at him a little bit. I still have a passion for hip-hop or I wouldn’t be writing about it, but I don’t judge everything and everyone in relation to it the way I would’ve back then. An entirely instrumental album like this one gives you plenty of time to reflect and wander around in your own thoughts. Snap back to reality though and there’s time to comment on tracks like the aptly named “Leaving Orlando” though, the finale of this instrumental beat tape. I’ve playfully suggested that Jakk purposefully adds the “dusty record under worn needle static” to tracks before, and if that’s not your thing you probably wouldn’t like this song, but to me it evokes exactly the right kind of nostalgic feelings that a review like this one couldn’t do without. Shaq didn’t have his greatest success as a player until he left and went to the Los Angeles Lakers and the Miami Heat. The Magic had the good sense to draft someone of his size and talent, but didn’t have the aptitude to build a championship team around him, so O’Neal wasn’t going to get anywhere unless he packed his bags and went elsewhere. Perhaps it will be the same for Jakk. In the internet age you can obviously live anywhere on the globe and make great beats and rhymes, but there’s always that possibility he could make better face to face connections somewhere like London, New York, L.A. or Tokyo. Maybe that’s me unfairly judging Johannesburg simply because I’ve never been there. It could be a hip-hop mecca the likes of the cities I just named. After all it produced a talent like Jakk so there clearly must be SOMETHING in the water. The question is really how this man of “Forgotten Wonders” wants to be remembered. 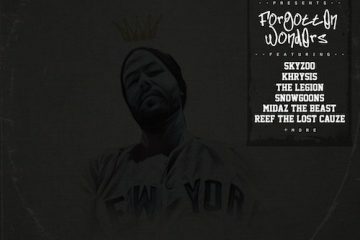 Does he aim to go down as the greatest rap producer making beat tapes in Johannesburg, or does he aim to produce legendary albums like Alchemist, Primo, Pete Rock and 9th Wonder? I can’t say. He’s got enough talent to aim for those lofty heights and potentially hit the target, but even when you’ve got the skills you still need to make the right connections in the right places. I hope that whatever is next for Jakk Wonders, he’ll use his own beat tape as motivation and not be afraid to leave home, no matter how well he’s getting paid where he lives now.